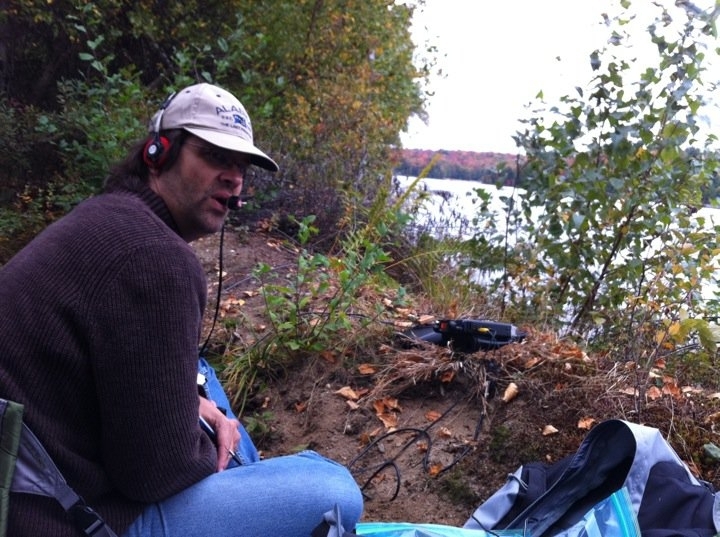 ARRL’s intrepid contest manager braves a speck of an island in a New Hampshire pond to activate a new American island. One of the best things about Amateur Radio is the occasional opportunity to be the rare station that everybody is looking for. The DX Web sites and newsletters constantly tell us of some individual or team effort to activate some far-flung locale. Oftentimes, these DXpeditions cost a lot of money; even a week in the Caribbean can be out of reach for many of us. So what is an active ham with a sense of adventure but an empty wallet to do? The answer lies in several high-quality but lesser-known Amateur Radio awards programs. Numerous programs encourage hams to operate from — and contact — geographical entities such as grid squares, lighthouses, counties, mountaintops and other places on the map. One of these is the US Islands program, or USI. This award encourages activation of islands that fall within the borders of the United States, including freshwater islands in lakes and rivers. It is not affiliated with the worldwide Islands on the Air (IOTA) program. My girlfriend Aurora (great name for a YL, eh?) 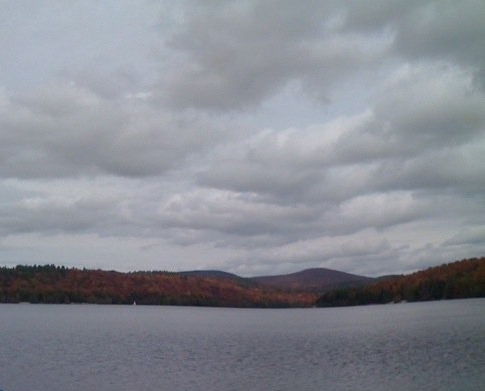 lives in a housing community in New Hampshire with a small lake, Eastman Pond, that has a small island in it. I thought it would be fun to operate low power from there. Then I remembered the US Islands program and wondered if this little island in a pond would even qualify. I visited the US Islands Web site. They provide a list of all islands that have been qualified for their program. There were only 17 listed in New Hampshire; certainly there were more islands that qualified for the award! Their rules listed the island qualification criteria: an island must be within the borders of the United States, be at least 100 feet long in any one direction and be more than 50 feet from the shore to qualify. A bridge connecting the island to the mainland is allowed, provided it’s really a bridge to an island and not a peninsula. The body of water needs to have a name on a map, as does the island. Armed with Google Maps and a desire to be “The Hunted,” I checked out my potential target. Eastman Pond was indeed on the map and the island is known,appropriately, as Eastman Pond Island. It was about 200 feet from the shore at the closest point and definitely longer than 100 feet. I think I had myself a new island. A quick e-mail about my discovery to USI’s Qualifying Manager Ted Sarah, W8TTS, gave me the news I wanted to hear: Eastman Pond Island met the criteria for the program. It was awarded the designator NH-018. But meeting the criteria and getting it added to the list were two different things. Somebody has to set up on the island and make a minimum of 25 contacts with at least two different DXCC countries to get a new island on the official list. As it was my intention to operate from the island all along, this wasn’t a problem at all. After a couple of false starts, I was able to plan a trip to the island on Sunday, September 26, 2010. I announced my plans to various folks, including the US Islands e-mail list on Yahoo Groups. The day of the trip came and I sent a message about 30 minutes before leaving that I was on my way, along with a list of frequencies on 20, 30 and 40 meters to listen for me. 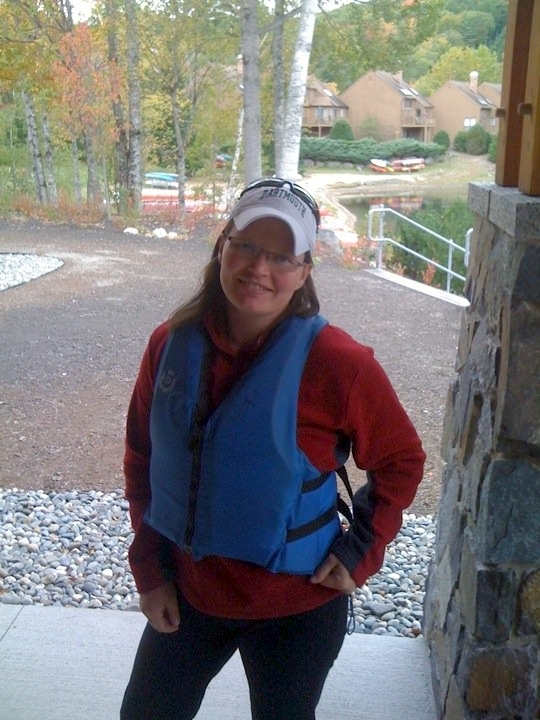 Aurora and I rented a canoe from the community association recreation center (the lake also has a public launch area). It was a windy, overcast day with the temperature in the low 60s and there weren’t a lot of people on the water. We would have to canoe across the entire length of the lake from south to north to get to the island. There was another beach less than 1000 feet from the island but that’s not where the rental canoes were. We placed my go-kit backpack with the radio gear (see sidebar for details), another pack with foodstuffs, hot beverages, a portable hammock for Aurora and some portable camping chairs in the center of the canoe, sat down and pushed off from the dock around noon local time (1600 UTC). Not having been in a canoe in a while, it took me a few minutes to get my sea legs back, but we were soon making good time. The foliage was already beginning to change colors and the landscape was an amazing mixture of reds, oranges, greens and yellows. While the wind made the canoe trip a bit of a challenge, the foliage in the surrounding hills made up for it. We landed on the south point of the island about 1625 UTC. The opening where we landed didn’t afford a good clearing to get a wire up in the air, so we did a bit of exploring and found a better location on the east side of the island. We climbed back in the canoe and made our way to the new location. After unloading the boat, we sat down to have a quick sandwich and drink some coffee, then began setting up the station. I took my old trusty antenna launcher — an old 8 inch crescent wrench —tied a small rope to the end and threw it over a limb of a white birch, about 25 feet high. One length of wire was attached to the end of the rope and I pulled it up into the tree. It was at about a 45° angle, not ideal, but it would radiate. I attached it to my 4:1 balun and ran the other wire horizontally about 3 feet off the ground as a counterpoise. A press of the automatic antenna tuner button and the antenna loaded fairly well on 40 meter LSB. It took about 15 minutes to set up the station. As Aurora climbed into her hammock and started reading the Sunday newspaper, I tuned to 7.260 MHz, one of my announced frequencies, and made my call: “CQ CQ for the US Islands program, KX9X/1, Eastman Pond Island, New Hampshire, new island for the US Islands program, standing by.” NH-018 was on the air for the very first time at 1700 UTC! After a few minutes, I received my first reply from Dave, VE3LDT. He gave me a 57 report for my low power signal. “We’ve been looking for you! Glad you could give us a new one!” We signed and I kept calling, working several stations in New York, Maine and New Jersey. Four of my ARRL colleagues, Joe, NJ1Q; Mike, W5MPC; Chuck, KØBOG, and Steve, WB8IMY, worked me as well. Steve commented I was quite weak, which wasn’t a surprise, given my low power signal and the surrounding hills. Being in a bowl doesn’t help your signal get out very well! I kept calling on SSB, as several folks on the US Islands e-mail list suggested there were more operators that pursued the award on SSB than on CW. I worked Carmen, K1LKP, in Salem, New Hampshire who was very loud and offered to stand by and let folks know what frequency I would be going to next. It was nice to know there was a station with an amplifier standing by. By 1800 UTC I had 13 contacts in the log and decided to go to 40 meter CW.CW is just more efficient at low power, giving you more bang for your buck. Just the previous day, it had been warm and sunny but today the wind was kicking up and there was no sun to be found anywhere. Such is autumn in New England. I grabbed a sweater, drank some coffee from the thermos and started calling CQ on 7.048 MHz. K1LKP immediately worked me, followed by a friend from back home in Illinois, Drew, K9CW. He posted me on the DX Cluster and I had a minipileup as a result, working 11 stations in 10 minutes. Some of my friends back in Illinois saw me spotted and gave me a call, including my old friend Lynn, NO9Z. It sure is fun working old friends on the air from an outdoor operating location. About 1830 UTC I moved to 20 CW but only worked a few stations, one of them being UX1IM in the Ukraine. I was happy for my 559 signal report under the circumstances. By 1900 UTC, I had 33 contacts in the log and the weather was turning on us. 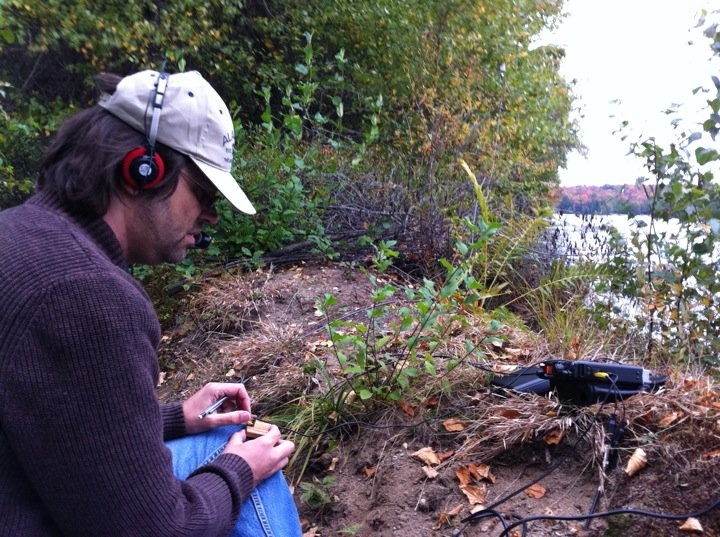 I tried going back to 40 SSB and made my last contact at 1905Z with John, K3TN. By then, Aurora and I were cold and decided to call it a day. Had the weather been nicer, I could have easily operated for several more hours. We took down our gear in less than 15 minutes, left no trace of our presence there and were back in the canoe and on the water by 1930Z. Twenty-five minutes later, we were back at the community association facility, dropped off the canoe, jumped in the car and headed home. I was able to meet my goal of getting the island on the official US Islands list and handing out a new one to the USI chasers, enjoyed some great operating time and had some adventure to boot. Remember, ham radio is supposed to be fun! The US Islands program is a great way to be on the other side of the pileup and enjoy the great outdoors at the same time without spending a lot of money. If you’re looking for a little adventure, visit the US Islands Web site and look at the list of recognized islands on the list. While those islands would certainly be fun to activate, there are untold numbers of islands across the country that would qualify that simply haven’t been discovered yet. I can promise you that I’ll be spending lots of time on the Internet, looking at maps and seeing what other islands are out there that would qualify. 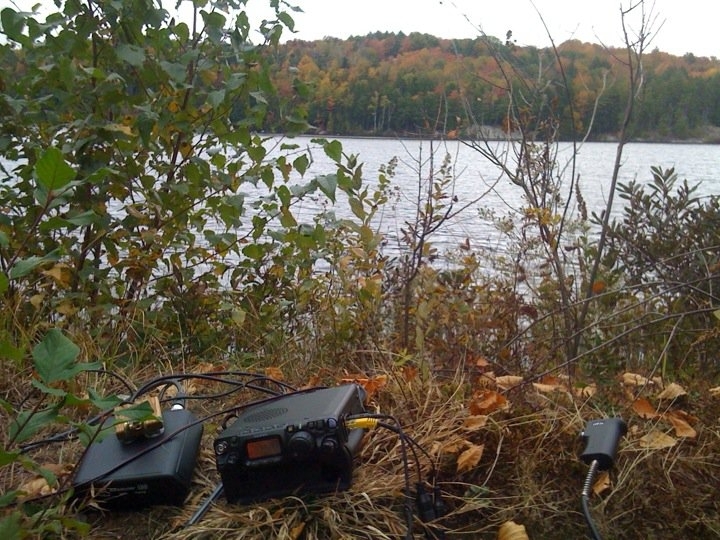 Does being an explorer and combining the outdoors and ham radio sound fun to you? Give the US Islands program a try; you, too, can be a “radio pioneer” and activate an island for the very first time. • An ARRL Mini-Logbook to log contacts. • 25-foot telescoping fiberglass mast, collapsible to 2 feet. The addition of these items and the larger backpack brings the weight of the go-kit up to 15 pounds. All of my gear was placed in Ziploc plastic bags for waterproofing and stowed in my backpack for the trip. 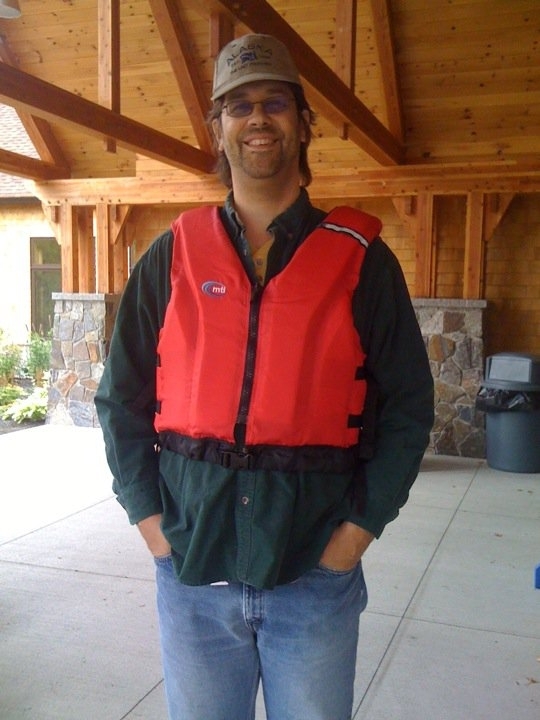 Sean Kutzko, KX9X, is the ARRL Contest Branch Manager and writes the “This Month in Contesting” and “Sean’s Picks” columns in QST each month.